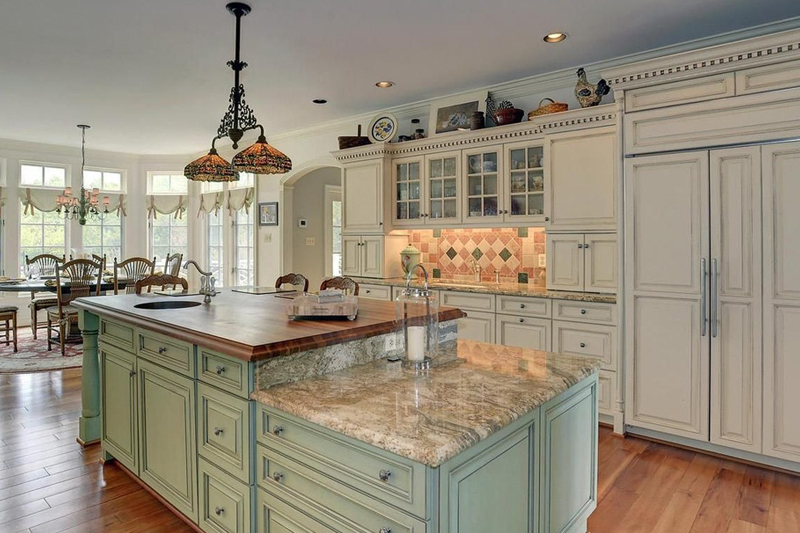 Is it possible to pick the right light for your kitchen island? 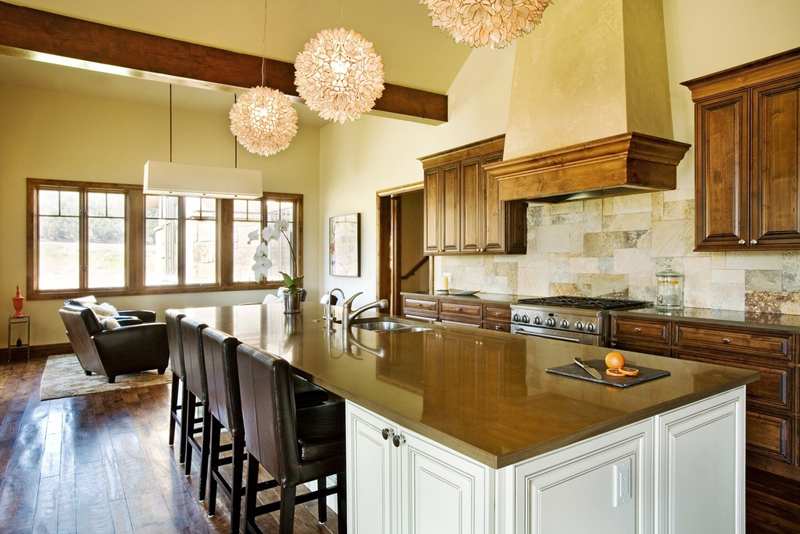 When you are remodeling, renovating or upgrading your kitchen, there will be a need to provide lighting if you have an island. 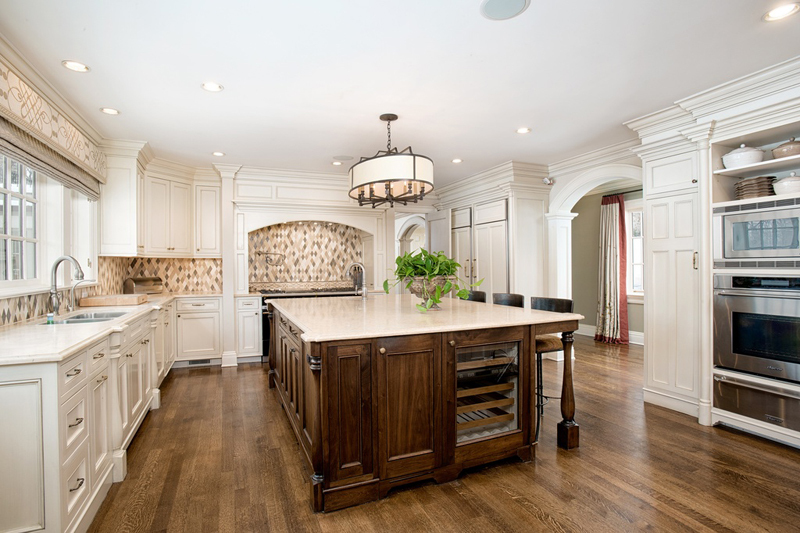 Although many homes have a kitchen island to facilitate a dishwasher or provide extra space for cooking preparation, lighting needs can vary if the island is used for studying, growing indoor plants, hosting an aquarium or highlighting a piece of artwork. Regardless, if you are looking for ideas, it pays to know the parameters of your choices. 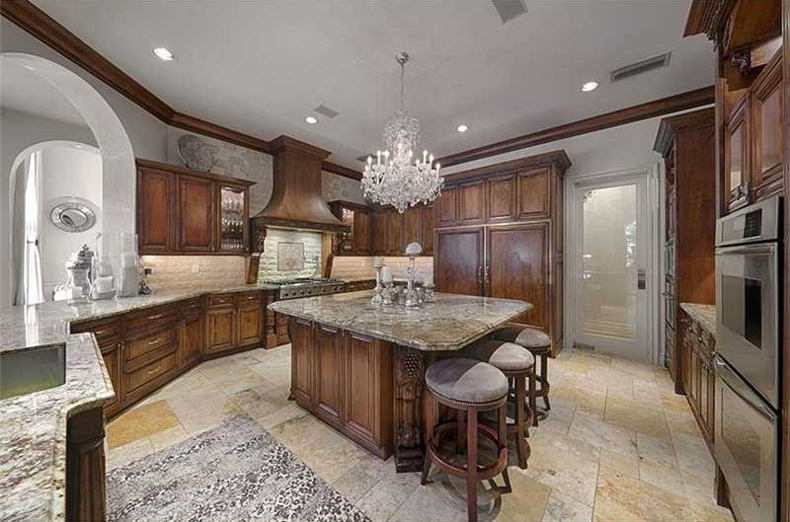 Listed below, common creative features for kitchen island lighting are described, and we have also included related information about the latest smart home technology. 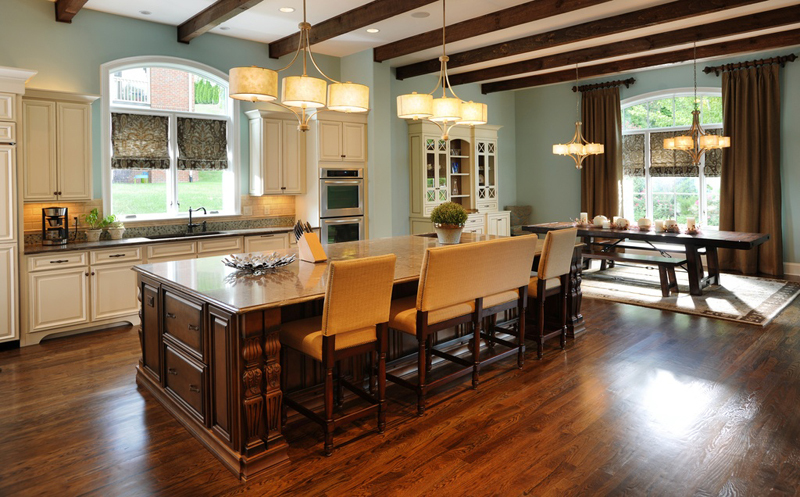 If you are renovating, you already know what you do not like about your current fixture. 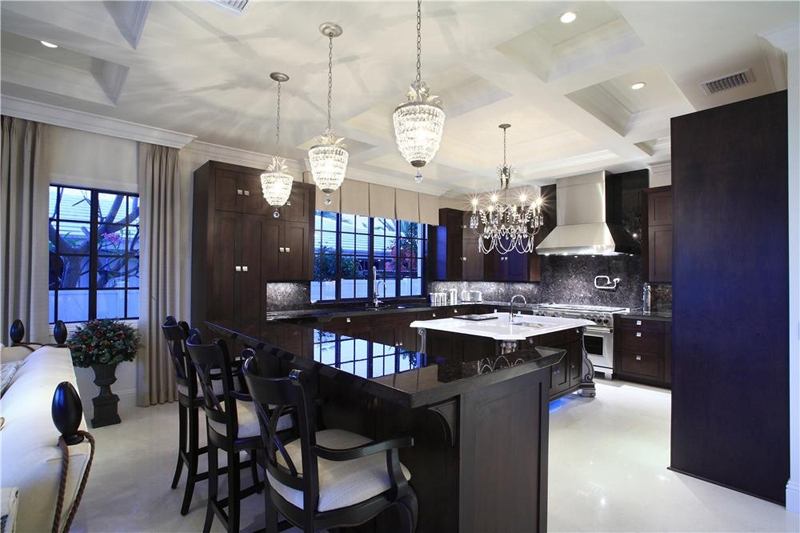 For example, the lighting fixture might be hanging too low and creating a distraction. 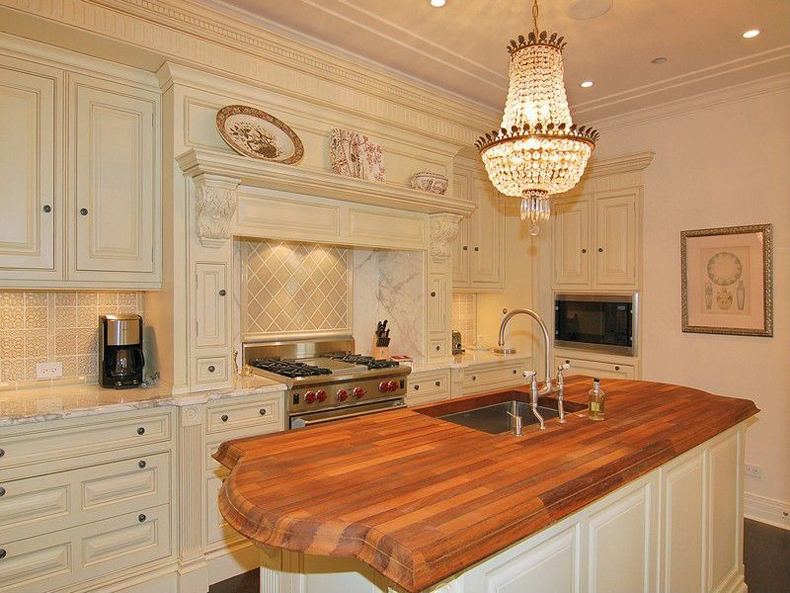 In other homes, the problem is related to the lack of lighting in the kitchen area. One other consideration to make is how you will change the bulb. Finally, an issue that is gaining more focus is how much energy the light uses or how much heat it produces. 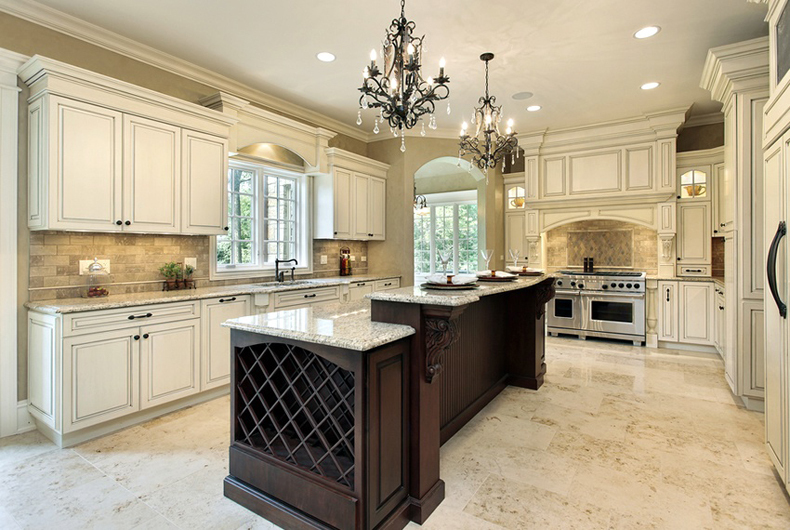 If you have received advertising from your local energy company about installing technology to save money on your utility bills, remember that this type of device can also be used for your kitchen lighting. By having a professional install certain types of devices, you can control your kitchen lighting with an app you use with your smartphone. These apps are also replacing the dimmer switch function since lights can be shut off, turned on or dimmed with a smartphone. 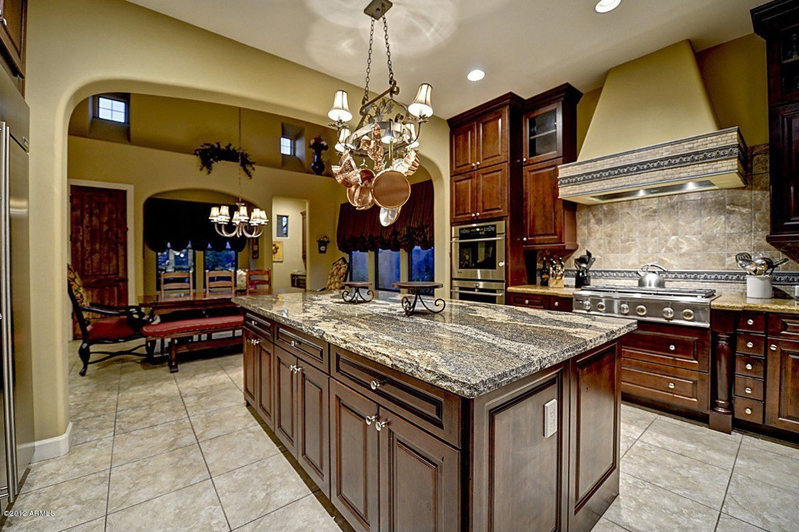 The ability to control lighting in the kitchen also helps improve the security of a home since you can turn them on or off to simulate people being present in the home. Nevertheless, the other part of the reason that these types of technology are becoming popular is due to a government rebate program for energy companies. Like your local energy company, homeowners can also be eligible for tax rebates at the city, state or federal level for installing smart home devices for lighting, heating, and other utility uses. To get the rebate, all you need is a professional contractor to sign off on the paperwork. 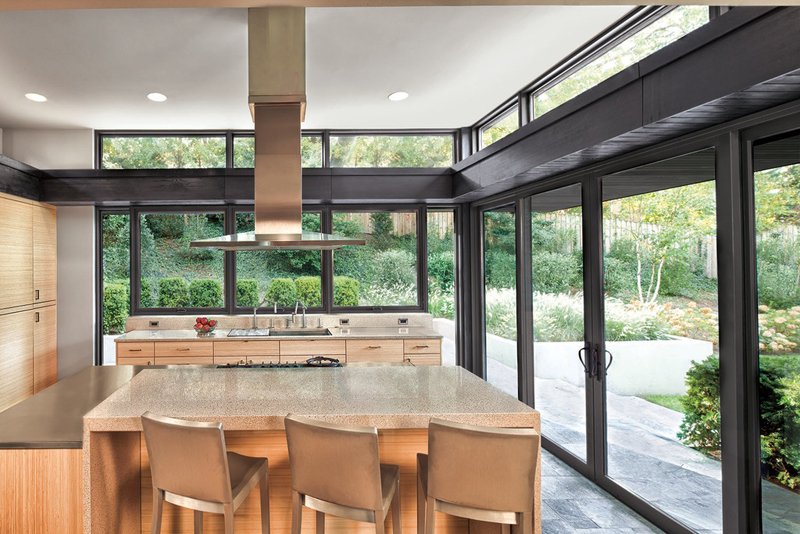 Especially if your kitchen window is facing east, your home could be dealing with a lot of extra heat while the family is trying to eat or prepare meals. 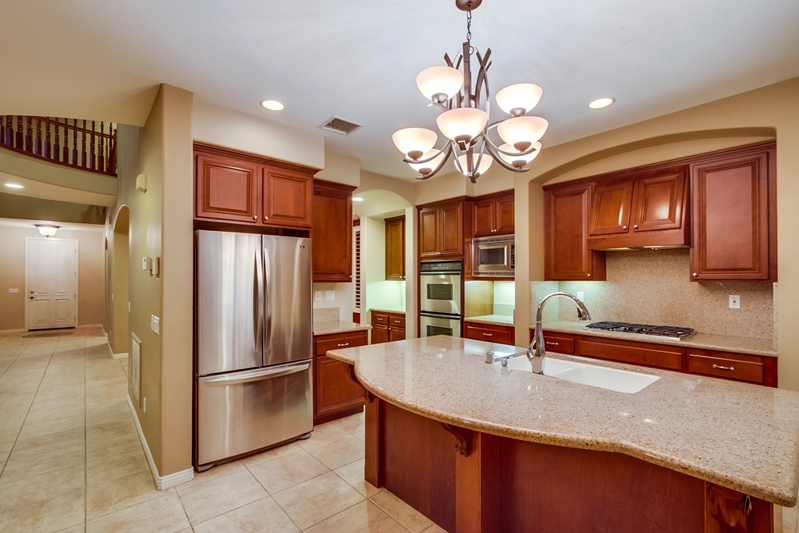 One of the ways that you can reduce the temperature control issues in a kitchen is by switching out the light bulbs. Instead of using the older versions of light bulbs that produce a lot of extra heat, LED lighting is known for producing the least. Also, LED lighting is highly compatible with smart home apps and the devices that control them. 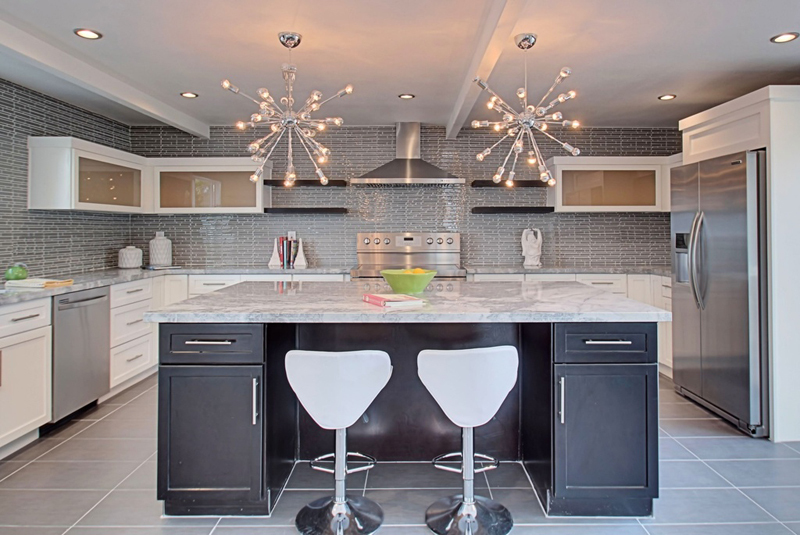 The only other decision you will need to make is which style of light fixture you prefer over your kitchen island. Fluorescent bulbs like the ones found in the major retail stores provide maximum light, but there are a few drawbacks. For example, people living with disabilities like seizures, migraines or vision problems may not like the glare and flicker fluorescent bulbs create. 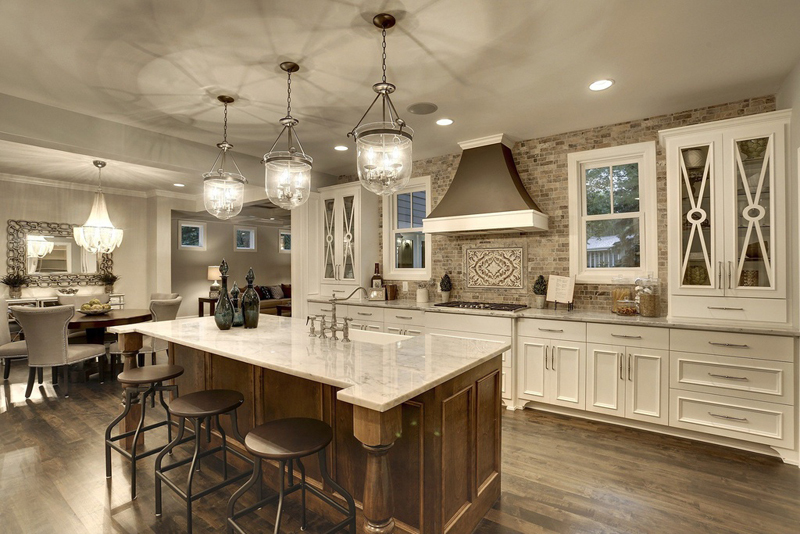 Despite this, if a home needs a well-lit environment that provides the maximum amount of sanitation, a covered fluorescent lighting fixture above the kitchen island is ideal. The covered lights can also keep accidents from related to exploding bulbs from happening around small children, pets or people living with disabilities. 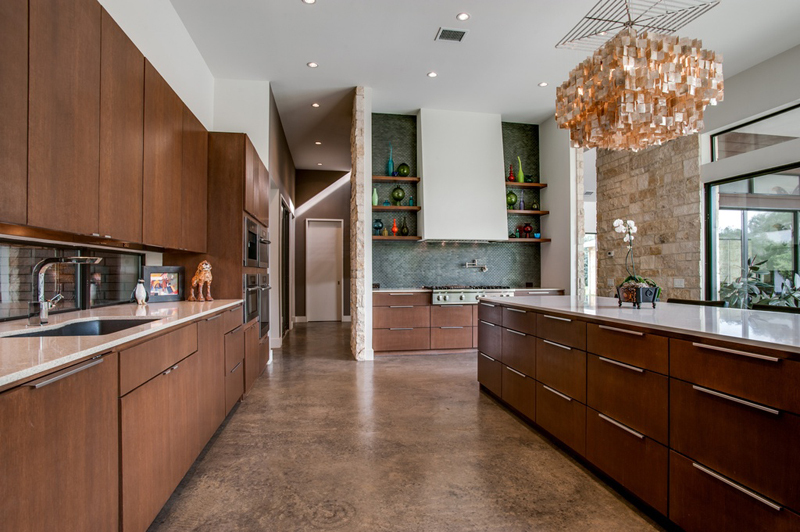 One idea that is gaining speed pertains to using the kitchen island to grow plants that are beneficial to the family. 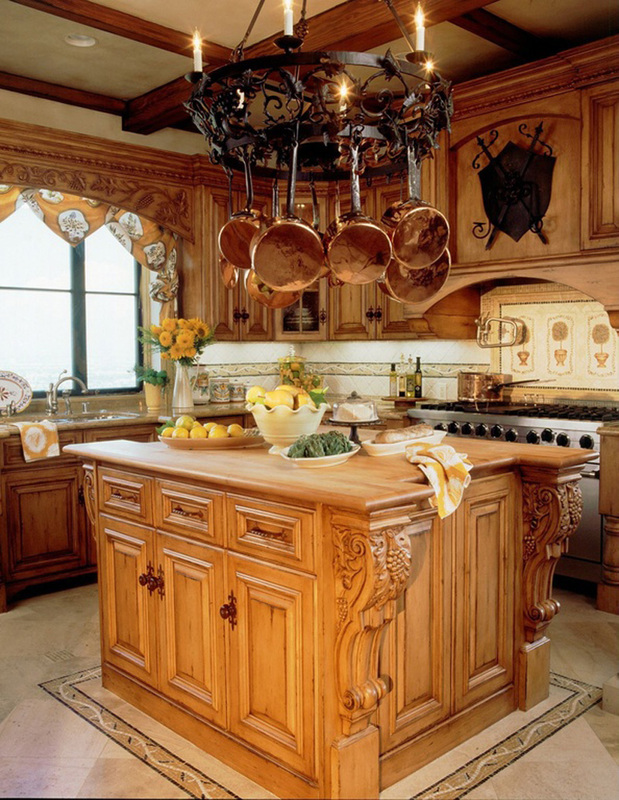 For example, instead of storing pots and pans on top of the kitchen island, an area for growing potted plants is preferred. In addition to keeping temperature control at its best, the plants also need sunlight to grow, and overhead lighting can serve two functions in this case. 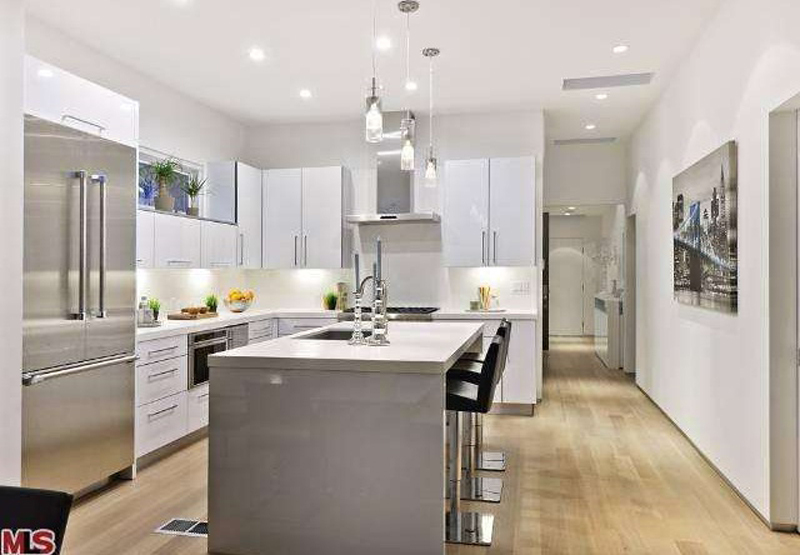 Of course, the lights will give occupants clarity for cooking or eating meals, but the types of light bulbs used can give plants the replacement sunlight they need to grow. In the past, it was tough to place lights behind a piece of stained glass on a ceiling, but technology has changed in a key way that now makes that possible. 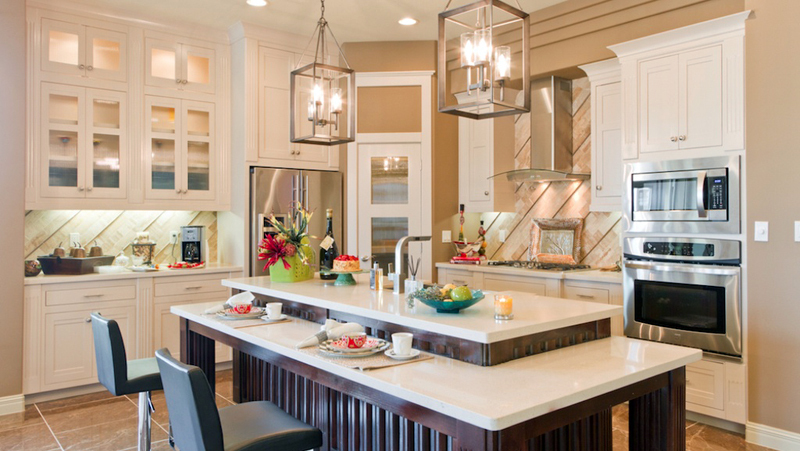 Namely, by using LED strip lighting, a kitchen island can be illuminated without looking plain or generic. Although it takes some artistic placement, the strip lights can be placed on the ceiling in a way that allows for them to be replaced or changed in the future without needing to remove the stained glass light cover. 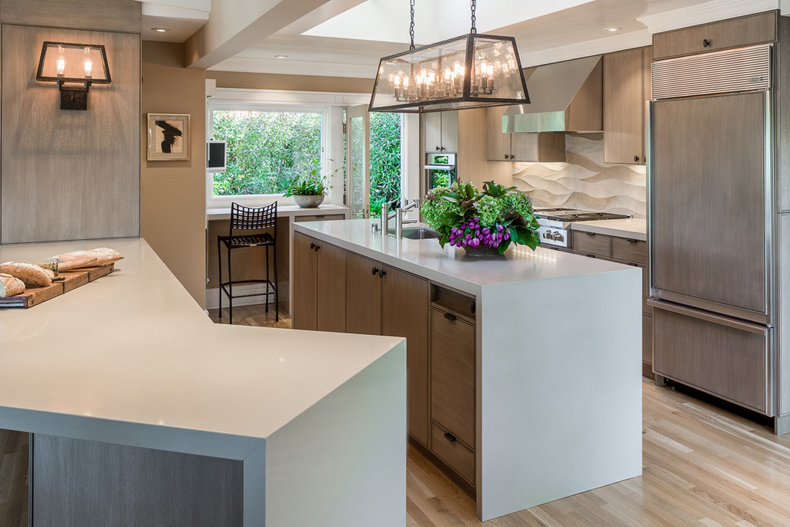 While ceiling rail studio lights or track lighting were popular in the past, new LED lighting means that emphasizing artwork from the kitchen island is no longer limited to this outdated and heat-producing choice. Studio lights served a function because they allowed for the right type of light to be directly shown on artwork to make the art look it’s best. Despite this, gallery owners and artists have complained for years that there is one major drawback to this type of lighting, and it is related to the amount of extreme heat they produce. 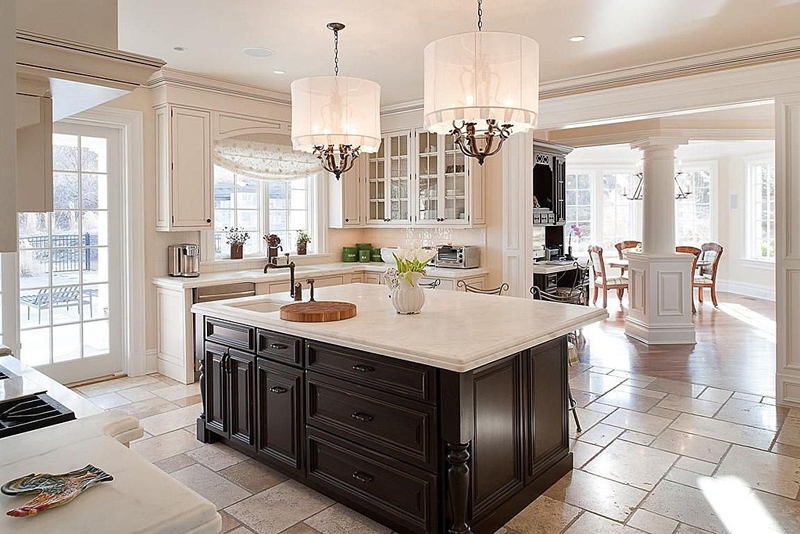 Today, the same lighting fixtures can be used, but the bulbs should be replaced with LED. While some pieces of artwork will not favor LED lights, it is rare. 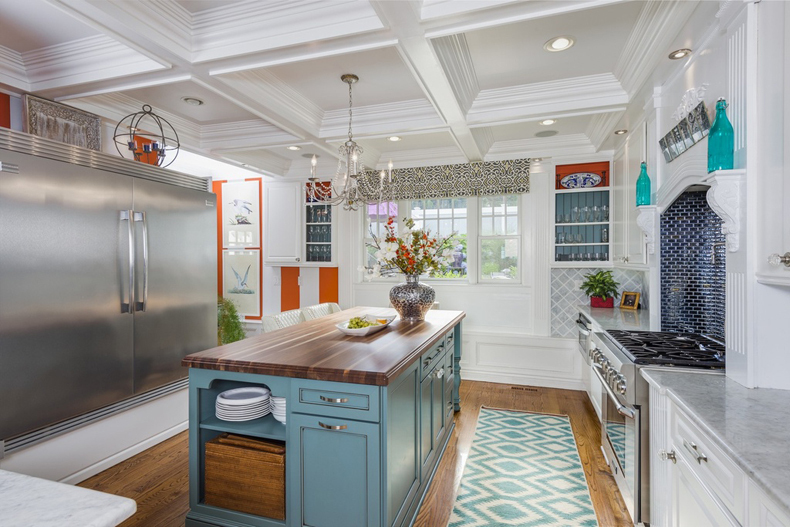 On top of this, there are other types of recessed LED lighting that give the same results as the old-fashioned ceiling rail studio lights but without the art studio look. 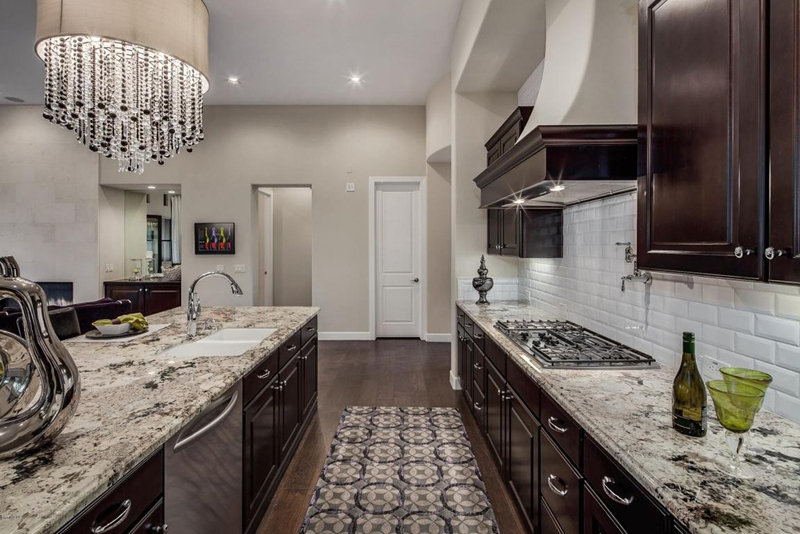 Although there are so many choices available today for a light over a kitchen island, the only type you will not want to buy is a fabric covered one. In some cases, artistic designs can be made from other permeable materials such as yarn or fur. Sadly, these can become breeding grounds for several types of problems. For example, steam and other material dispersed during the cooking or food preparing process can ruin surfaces that are not easy to wipe down. There can also be food contamination or health hazards associated with surfaces in the kitchen that can easily gather mold, insects or other undesirable elements. One aspect that commonly gets overlooked can move the light around to where you need it. 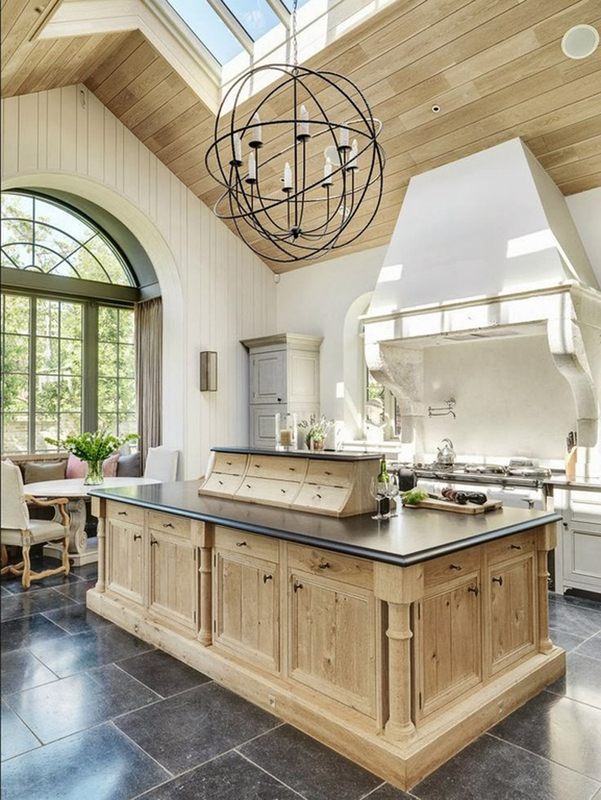 Although many people think the only place you can have a moving or swinging arm light is for a desktop lamp, the possibilities in today’s kitchen lighting market are endless. 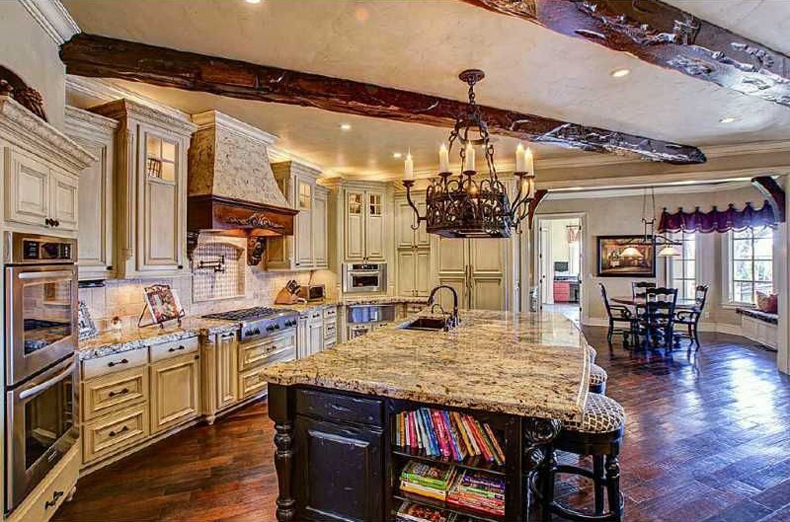 This selection of lighting means that kids can use the light when they need it for studying, and parents can shift the light to focus on cooking. The other advantage to this style of lighting is that multiple arms and lights can have an artistic affect as well as a practical one. 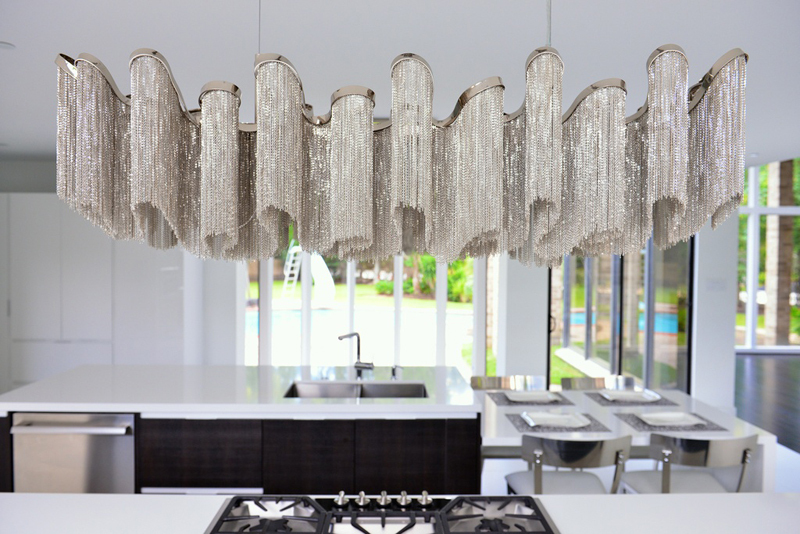 It can be tough to figure out if the lighting fixture you choose is going to look artistically correct in your new kitchen renovation. 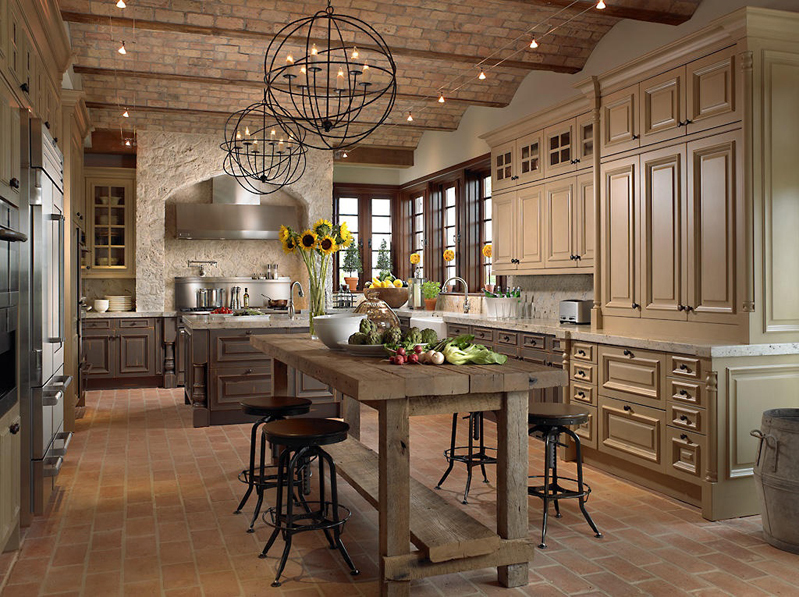 Since the kitchen island is often directly in the middle of the kitchen, the overhead lighting will be a lot like a centerpiece. 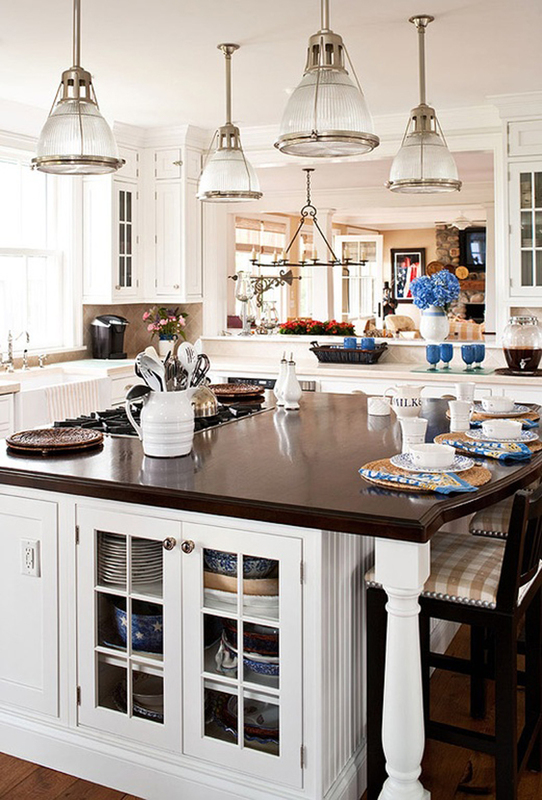 Unless you plan to install a cookware storage rack directly over the kitchen island, most choices will work. 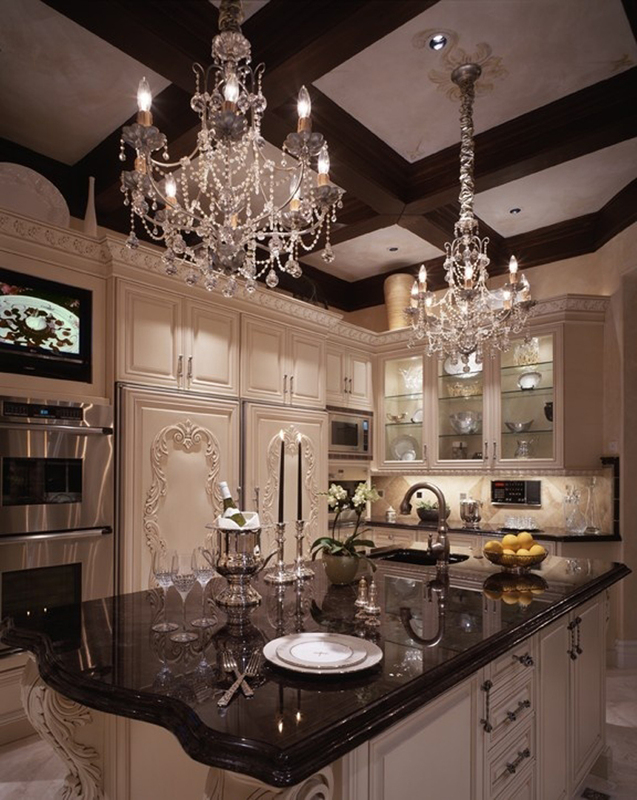 On the other hand, if there is tiny space in the kitchen, to begin with, some styles of lighting, such as chandeliers, will overpower the room. 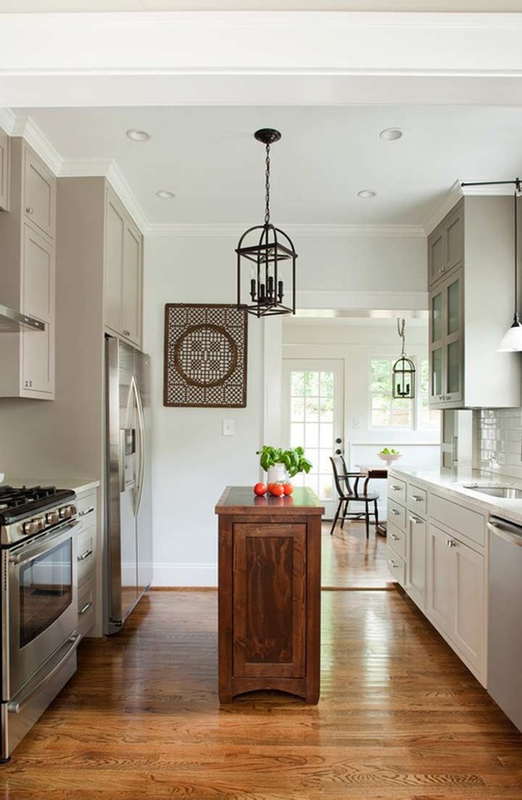 In other cases, a pendant light is too small and gets lost in kitchens with a lot of floor space. 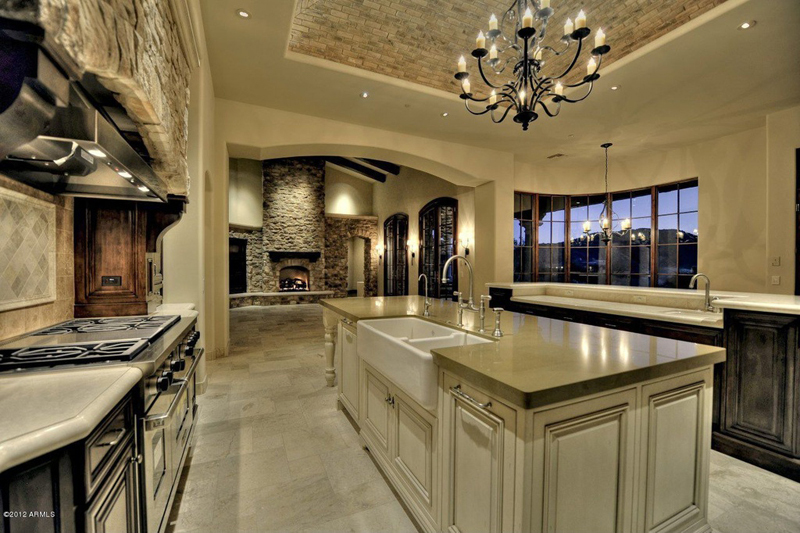 Finally, in some homes, the ceiling is much higher than the normal 8-foot to 10-foot range, and dome lights can be so high up that they do not cast enough light. To test your theories about which lights work best, try using a lamp, a small ladder, an extension cord and a friend to help ensure you do not lose your balance on the ladder. A third friend or family member can help you decide if one bulb or multiple bulbs are needed. 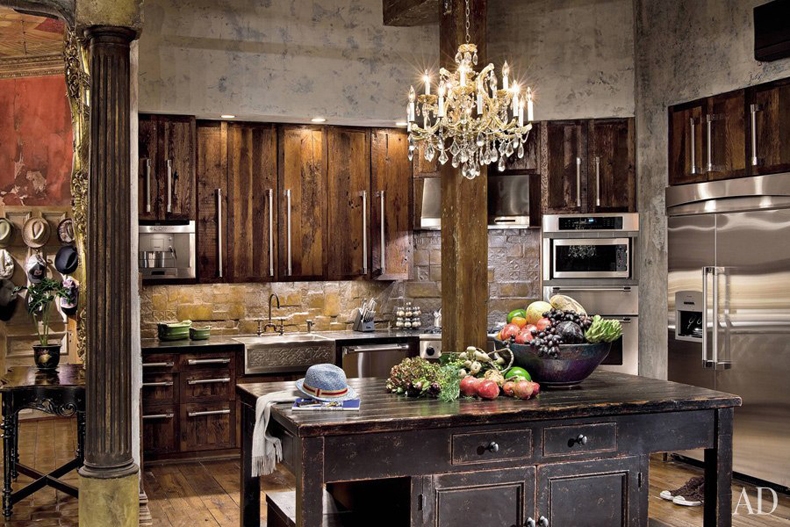 They can also help you figure out if your chandelier or pendant light needs to hang low or high. 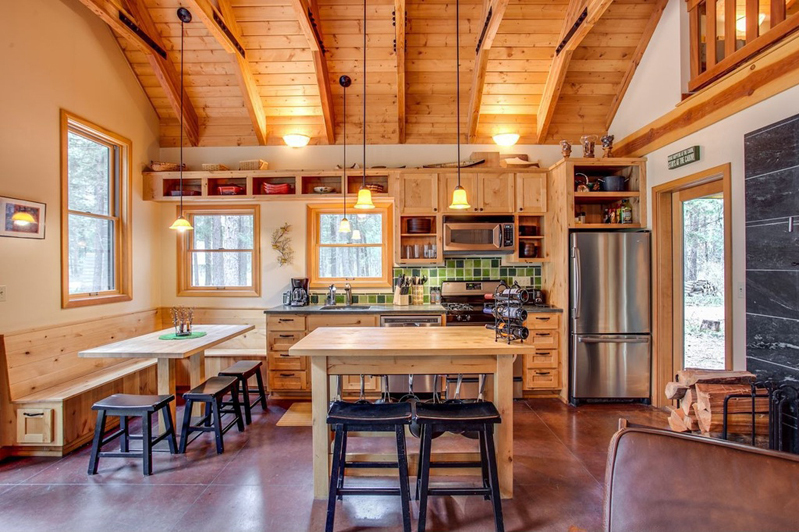 Some homes simply cannot be renovated in an affordable way that will allow for a light to be installed directly over the top of the kitchen island. In these rare situations, the problem is usually plumbing or electrical code-related. 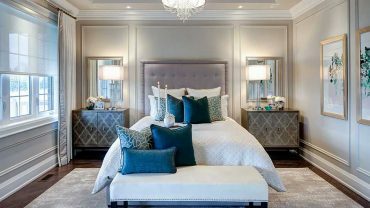 Other instances of not being able to use an overhead island light pertain to a mural or other decorative features on the ceiling. 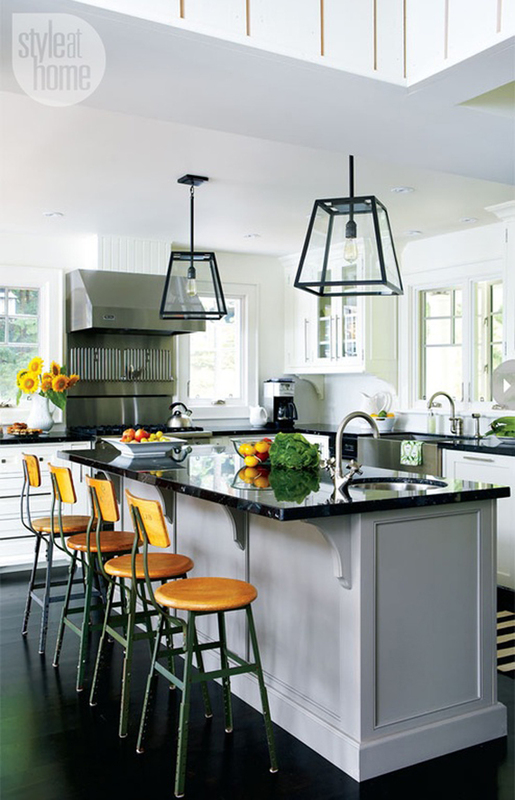 If there is no way to install kitchen lighting without spending a fortune or giving up a unique home feature, the solution is to have a light wand or permanent desk lamp installed directly on the island itself. 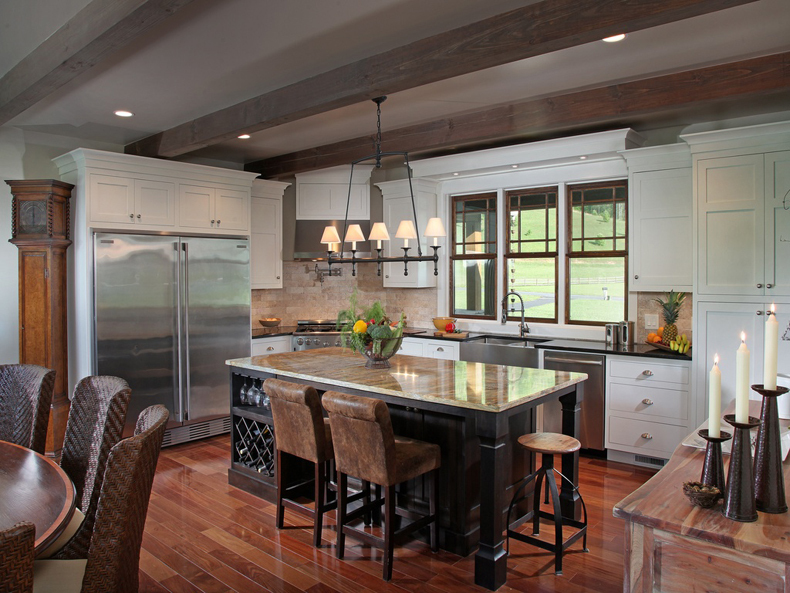 Another possibility is to have track lighting installed that is pointed directly at the surface of the kitchen island.